Consumer Confidence is Up for February. 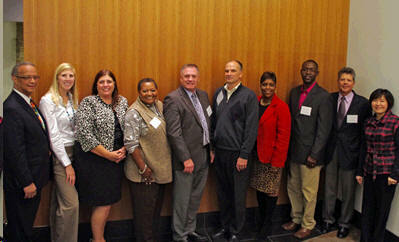 Indiana State University Federal Credit Union Helps Consumers Throughout the Midwest. EPA to Evaluate its Mileage Tests for Hybrid Autos. 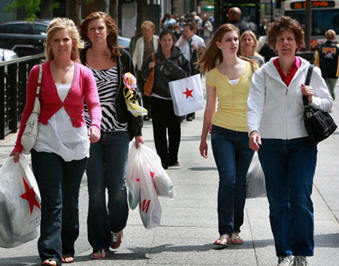 Consumer Confidence is Up for February. The Conference Board Consumer Confidence Index®, which had declined in January, rebounded in February. The Index now stands at 69.6 (1985=100), up from 58.4 in January. Consumers were more optimistic about the short-term outlook this month. Those expecting business conditions to improve over the next six months increased to 18.9 percent from 15.6 percent, while those expecting business conditions to worsen declined to 16.5 percent from 20.4 percent. Indiana State University Federal Credit Union marks another anniversary this year! For more than a half century, the credit union has had the privilege of serving thousands of members throughout the Wabash Valley and beyond, helping members build their financial well-being while delivering exceptional personal service and products that provide great economic value. Today, the credit union has assets totaling nearly $80 million and 8,300 members, most of whom live throughout the Wabash Valley. The credit union offers a full line of financial services that rivals those of larger financial institutions, whether that involves the latest in technology, traditional products, or the personal touch that still strikes a cord with many consumers. Credit unions exist to help people financially, and it is certainly that “people helping people” philosophy that has been at the core of our business from day one. In keeping with that attitude, we also operate with a “Just Ask” mindset. ISU Credit Union members are encouraged to just ask with reference to any particular financial need they might have. The credit union strives to provide financial solutions and exceed expectations every time with every member. The ISU Credit Union is a select employee group credit union and has many area businesses within their field of membership. Through our association with the American Consumer Council, individuals who reside in Vigo County, Indiana, and surrounding counties, both in Indiana and Illinois, may also join. We are proud to be associated with the ACC, and support their efforts in providing a voice for consumer advocacy, and education for consumer issues confronting us all. For more information about the ISU Credit Union, please call 800-628-1021, or visit the credit union at www.isucreditunion.com. EPA Will Evaluate The Way It Test Hybrid Auto Mileage. The Environmental Protection Agency has launched an evaluation of whether the ways it tests gas mileage gives realistic window-sticker ratings for advanced hybrid cars. The probe centers on a generation of hybrids capable of highway speeds on electric Quality, said he wants to be sure the EPA's testing procedures are keeping up with rapidly evolving auto technology. "This is a different type of hybrid, and we need to understand it," he told USA TODAY in an interview. The agency's action comes after Consumer Reports wrote that its gas mileage in real-world use of Ford's new C-Max crossover and Fusion sedan hybrids, 37 mpg and 39 overall, respectively, fell far short of their EPA ratings of 47 in mixed driving. The EPA's evaluation could result in changes in the labeling that EPA requires on cars' window stickers and in consumer information it offers on its website, said Grundler. One problem, he said, is that the newest hybrids are extra sensitive to driving habits. 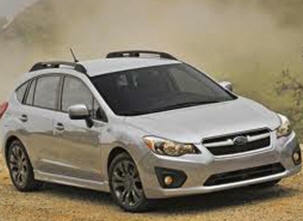 A hybrid driven aggressively might get far worse gas mileage than its window-sticker rating. "If you drive a hybrid the way you drive your Porsche, you are going to get less (gas mileage) than the national average." EPA is preparing to test a Ford C-Max in Ann Arbor, Mich. Ford says the C-Max can run up to 62 mph on electric power before the gas engine has to help. Ford officials are fine with the testing. "We agree with the EPA that hybrid fuel-economy performance industry wide can be more variable compared to conventional vehicles," said spokesman Said Deep. "We are open to working with the agencies to further improve the process for generating fuel-economy labels." If your company or organization would like to increase its credibility with consumers, you should consider applying for the Green CSM Certification. Applications for the 2013 Spring cycle are now being accepted through April 29, 2013.